The 2013 Annual Meeting of the American Cotton Shippers Association will be held in historic New Orleans, Louisiana at the Windsor Court Hotel. New Orleans is one of the world’s most fascinating cities. Steeped in a history of influences from Europe, the Caribbean, Africa and beyond, it is home to a truly unique melting pot of culture, food and music. Whether strolling through the French Quarter, catching a live jazz show or indulging in the world-famous food, New Orleans offers a range of diverse activities to suit every interest. Make your plans now to attend the ACSA Convention at the Windsor Court Hotel. Come down and experience New Orleans, one of America’s most culturally and historically-rich destinations.Please make your reservations now by calling the hotel directly at 1-800-262-2662 and ask to speak to the Reservations Department . Please let them know you are with the American Cotton Shippers Association to obtain the convention room rate of $229 per night. Please note the Reservation Cut-Off Date is April 12, 2013.Dress code for Thursday Evening Dinner is Jacket & Tie, Business Attire for all meetings. At SG USA, Stephen Gallagher is responsible for North American economic and financial market research. He has been with SG since 1995. Before joining SG, Gallagher was money market economist Kidder Peabody and Co. Inc. 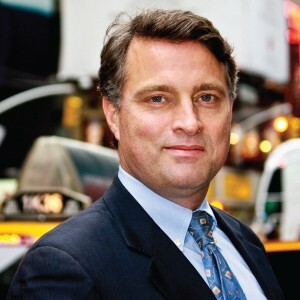 He is an active member of several professional organizations including: New York Forecasting Club (serving as group president in 2004), The Bank Economist Group, and the National Association of Business Economists (NABE). In 2005, NABE awarded Gallagher top forecaster of the year, based on forecasts for interest rates and the macroeconomic outlook. Gallagher received an MA and M. Phil. in economics at Columbia where he also earned a Fellowship Award and was an instructor for microeconomics. While at the University of Michigan he worked for the Department of Transportation Research, a think-tank specializing in the automotive industry. Mark P. Wetjen was sworn in as a Commissioner of the U.S. Commodity Futures Trading Commission on October 25, 2011. 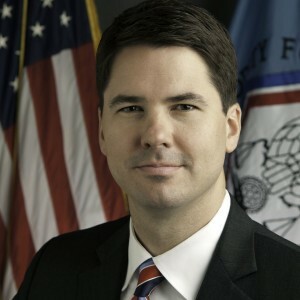 Commissioner Wetjen worked for seven years in the U.S. Senate as a senior leadership staffer advising on all financial-services-related matters, including the Dodd-Frank Wall Street Reform and Consumer Protection Act of 2010. Before his service in the U.S. Senate, Commissioner Wetjen was a lawyer in private practice and represented clients in a variety of litigation, transactional and regulatory matters. Born and raised in Dubuque, Iowa, Commissioner Wetjen received a bachelor’s degree from Creighton University and a law degree from the University Of Iowa College Of Law. He lives with his wife, Nicole, and two sons. Although Julia Reed grew up in the Mississippi Delta, she began attending the Madeira School outside of Washington D.C. at 16. She interned at Newsweek’s Washington bureau for six years as she attended Georgetown and American University. She is now a contributing editor for Newsweek, covering New Orleans politics and the monthly “Food and Drink” column. Julia has been writing for Vogue since 1988, profiling various political figures from Al Gore to Condoleezza Rice. She also contributes regularly to the New York Times Book Review, New York Times, London’s “The Spectator,” and Southern Accents. She makes regular appearances on MSNBC and CNN. Julia has three books out: Queen of the Turtle Derby and Other Southern Phenomena; Ham Biscuits, Hostess Gowns and Other Southern Specialties: An Entertaining Life (with Recipes), and The House on First Street: My New Orleans Story. Currently, she lives in New Orleans (First Street) with her husband, John, and their dog, Henry. 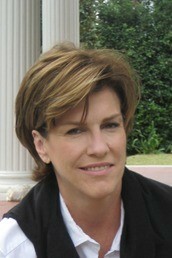 She is chairman of the board of the Ogden Museum of Southern Art and serves on the boards of FriendsofNewOrleans.org. Chester James Carville, Jr. is an American political commentator and media personality who is a prominent figure in the Democratic Party. Carville gained national attention for his work as the lead strategist of the successful presidential campaign of then-Arkansas governor Bill Clinton. 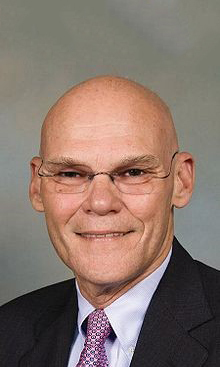 Carville was a co-host of CNN’s Crossfire until its final broadcast in June 2005. Since its cancellation, he has appeared on CNN’s news program The Situation Room. As of 2009, he hosts a weekly program on XM Radio titled 60/20 Sports with Luke Russert, son of Tim Russert who hosted NBC’s Meet The Press. He is married to Republican political consultant Mary Matalin. In 2009, he began teaching political science at Tulane University. Dress code for Thursday Evening Dinner is Jacket & Tie, Business Attire for all meetings. Designated by Congress as the country’s official World War II Museum, this remarkable attraction illuminates the American experience during the WWII era with moving personal stories, historic artefacts and powerful interactive displays. Walk beneath the vivid Caribbean Reef, marvel at the lush beauty of the Amazon Rainforest and journey the Mississippi River at Audubon Aquarium of the Americas where penguins, sting rays, sharks and other deep sea creatures await your visit. Located two blocks from the hotel is New Orleans most sophisticated shopping destination all under one roof. From Saks Fifth Avenue to Pottery Barn, Brooks Brothers and Coach, find exactly what you are looking for as you indulge in the finest designer clothing and collectibles in the city. One of the best cities to sight-see on foot, choose from a plethora of tours to experience. Step into the past as you stroll through the French Quarter and learn the history of one of America’s oldest cities; explore the Garden District, one of the country’s most dazzling residential neighborhoods; listen to the humorous, tragic and inspiring stories of New Orleans notables as you explore the above-ground cemeteries and learn about Marie Laveau, the Queen of Voodoo; tickle your curiosity as you take an evening haunted tour through the French Quarter. The concierge staff can arrange play at a number of highly-rated private, semi-private and public golf courses all within 25 minutes of the hotel. Open: Tues – Sun, 7:30 a.m – 6:00 p.m.
Home of the 2006 Zurich Classic PGA Tournament, this Jack Nicklaus designed par-72 Championship Golf Course presents a unique challenge to golfers of any skill level. Open: Daily, 7:30 a.m. – 7:00 p.m. Situated on 250 acres across the Mississippi River from New Orleans, TPC Louisiana is a Pete Dye par-72 designed course and host of the annual Zurich Classic of New Orleans PGA Tournament. Located just minutes from the hotel in Uptown New Orleans, the par-62 Denis Griffiths’ designed course is the city’s newest golf course. The 4,220-yard layout is set amongst hundred year-old oak trees and features contoured fairways, manicured Tif Eagle greens, four lagoons and exquisite landscaping. Further details of speakers and social functions will be provided as they are finalized.